If you are looking for a portable Bluetooth speaker, you will find aplenty. But not all of them live up to the promise of an immersive experience. 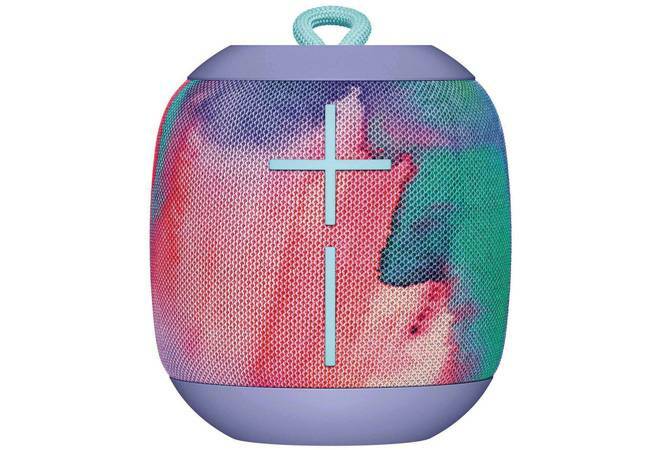 The recently launched Ultimate Ears Wonderboom Freestyle is a great outdoor speaker - compact, rounded (102 mm tall and 93.2 mm wide), weighing 425g and with a loop on the top that makes it easy to hang almost anywhere without worrying about the speaker getting damaged. The IP67 rating makes it waterproof and dustproof, which means it can withstand up to 1m deep water for up to 30 minutes. I tested it during my recent vacation where it was pouring and kept it next to me on the beach. When it got a little dirty, I gave it a quick wash under the tap and it became squeaky clean. But while doing so, I made sure that the charging port was not exposed to water and the flap was tightly locked. Another thing I liked about the Wonderboom speaker is its design that incorporates various controls. Even when my smartphone was not around, I was able to pause the music, skip tracks and control volume right from the speaker. The top houses the power button and the Bluetooth button for pairing while the UE branding in the middle can be used for playing/pausing the music. The '+' and the '-' key in white on the raspberry-hued speaker helped control the volume. The innards pack two 40 mm active drivers and two 46.1 mm x 65.2 mm passive radiators for 360-degree immersive sound. The speaker performed well across different genres. When I played instrumental music, it produced clear and balanced lows and mids. Even at higher volumes, there was no distortion and the vocals were well pronounced. However, there was a slight hissing sound at higher frequencies. The sound output is great for the compact size and is good enough for a small indoor or outdoor gathering. But unlike the MegaBoom speaker, there is no compatible app with preset equalisers for the recently launched Wonderoom Freestyle. The biggest shortcoming of this speaker is the lack of speakerphone capability. When paired with a smartphone, neither does it notify an incoming call, nor can it be used to answer one. Another must for outdoor speakers is a good battery backup and the Wonderboom did not fail in that department. Although UE did not mention the battery size that goes into the speaker, it took close to three hours to get a full charge, which lasted me a little over 10 hours of music playback at medium volume.